Lady Diana Frances Spencer was born on 1st July 1961 to John Spencer, Viscount Althorp and Frances Shand Kydd. She married Prince Charles, heir to the throne in 1981 but they divorced in 1996. 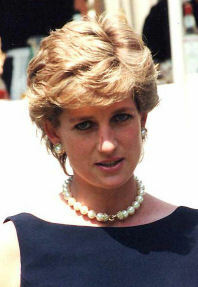 Diana was killed in August 1997 when a car she was travelling in crashed in Paris. This entry was posted in House of Windsor and tagged D by admin. Bookmark the permalink. Copyright © 2019 Trees of Blue. All Rights Reserved.